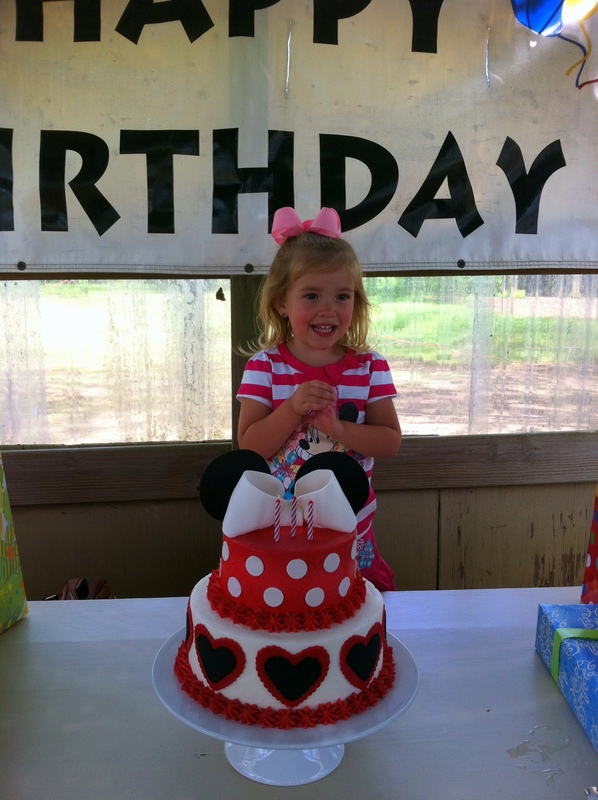 First, I made my niece, Sarah, a Minnie Mouse cake for her 3rd birthday. I spent every evening for a week making the components of this two-tier vanilla bean cake with strawberry cheesecake filling, vanilla buttercream frosting, and fondant decorations. The next week my grandfather had surgery to repair a slow-growing aneurysm that his doctor had been following for about two years. He did phenomenally well and is back at home and feeling much better now. Finally, I got to take a two-day sewing workshop with world-famous sewing guru, Sandra Betzina, at a sewing shop in Mobile. It was recommended that workshop attendees sew one of Sandra’s patterns but I had a hard time choosing one that suited me. Finally, I decided on Vogue 1045 but decided to make it less structured and chose a lightweight Marc Jacobs cotton voile for the top and a silky-finished Vera Wang cotton for the skirt. I never got around to the skirt during the class but I did finish the top and will be blogging the pattern review soon. You’re getting a sneak peek of the unfinished top in the photo of me with Sandra, above. You are so awesome! I truly miss being around your sweet spirit! Thanks, Mrs. Iris. I miss you too! Stop by and see me anytime you are heading by my way!! Wow – you finished it fast! Can’t wait to see the review, and the pic is great. Your cruise story reminded me of my honeymoon, when we did CPR on an octogenarian who’d been snorkeling. They took her away on a stretcher in an “ambulance” with her head and feet sticking out the back windows of the car, and of course no oxygen. I hate vacations with that kind of excitement.